What Credit Score Do You Need to Get a Credit Card? Unfortunately, the answer to this question isn’t one simple three-digit number, but rather a variable answer dependent on a number of factors. Though a numerical credit score is used in the decisioning process, what’s behind that credit score matters too. Let’s put it this way; you could have a higher credit score than another individual, but subsequently be denied for the exact same credit card that the other person gets approved for. How would that work, you ask? Well, in one common scenario, you could have a better credit score than another applicant, but too many recent credit inquiries or newly opened accounts, likely other credit cards. As a result, a credit card issuer may deny your credit card application while simultaneously approving an application for a consumer with a lower credit score. That other consumer may have had a late payment at some point in their credit history, but no recent requests for new credit until said credit card application. So in the eyes of the credit card issuer they are deemed less of a default risk going forward, despite some missteps in the past. Meanwhile, because you opened so many new accounts recently, you’ve presented yourself as a bit of an unknown risk, at least over the short term, so a credit card issuer may deny you. That’s just one example, but the main take away is that credit card issuers may take a hard look at your credit score, instead of just saying all credit scores above “X” number get approved, and all credit scores below “Y” number will be declined. At the same time, it’s generally safe to say you’ll be approved for most credit cards if your credit score is above 700 (assuming you don’t apply for too much credit all at once), as it’s considered a good credit score. But you may need a credit score of 720 or higher to qualify for certain platinum cards or other rewards credit cards that require so-called excellent credit (what is considered an excellent credit score?). If you’re credit score is below 620, or even 640, there’s a good chance you WILL NOT be approved for most credit cards, though you may be able to get your hands on a credit card for “poor” or “fair” credit. 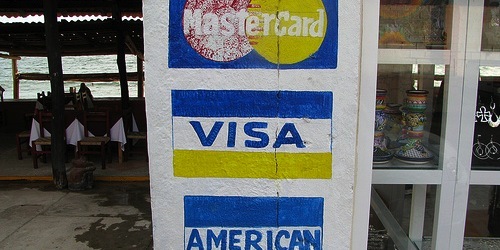 Unfortunately, a lot of the most desirable credit cards are not in those two categories. If your credit score falls between 620 and 700, it’s a bit of a crap-shoot as to whether you’ll be approved for a certain credit card. If you look at credit card offers on Credit Karma, you’ll notice the average credit score and minimum credit score needed for approval. This should give you a better indication of what it takes to get approved for a given credit card. Approval can also be determined by the credit card issuer’s risk appetite, which has certainly become less favorable for consumers in light of the ongoing credit crisis. They’re definitely taking a harder look at applicants than they were in the past. Also note that credit score and credit history are just one piece of the pie. Approval is also based on your income and employment, so don’t assume you’re golden just because you’ve got an 800 credit score. You might be in for a rude awakening. Tip: Credit scores are also used to set your credit card limits, so the higher your credit score, the higher your limit, generally. Again, income/employment will also come into play. So are you saying I’m out of luck if my Fico score is below 620? Not necessarily, it depends on the overall makeup of your credit history. However, for most cards that score would be on the low end of the average approved score, if it were even approved to begin with. On Credit Karma I see quite a range of scores for all card approvals. They must look at a lot more than credit score for approval because some people get approved with scores 100 points or more lower than others. Previous Previous post: Is ID Required for a Credit Card Purchase? Next Next post: Does a Credit Check Lower Your Credit Score?